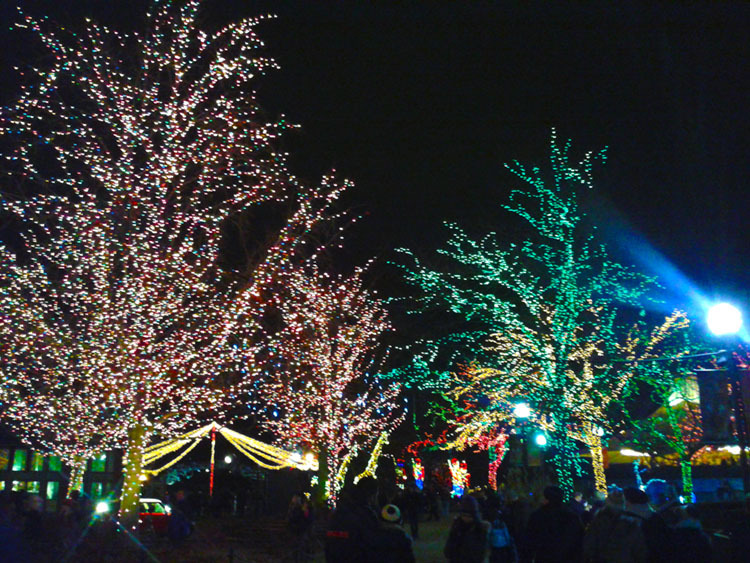 Lincoln Park Zoo holiday lights are still on! 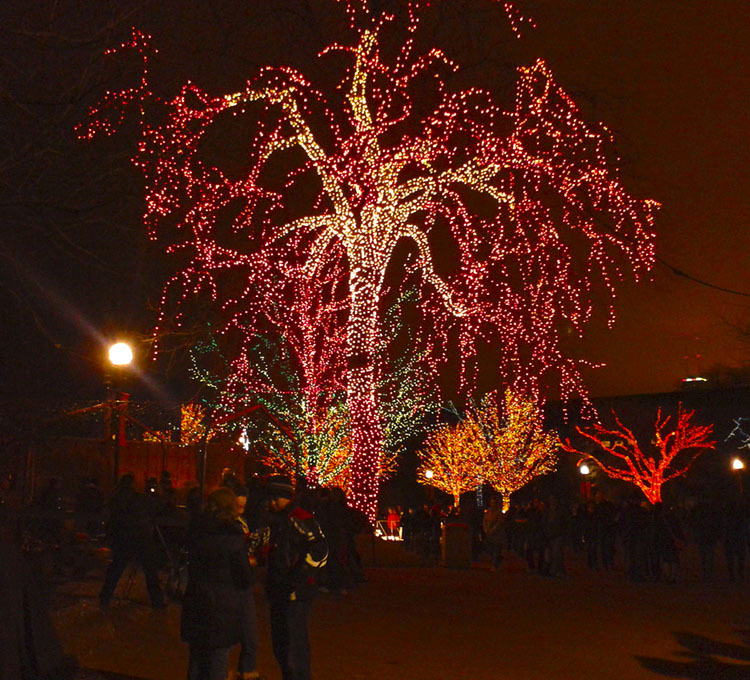 Before Christmas we went over to the Lincoln Park Zoo to see all their holiday lights. 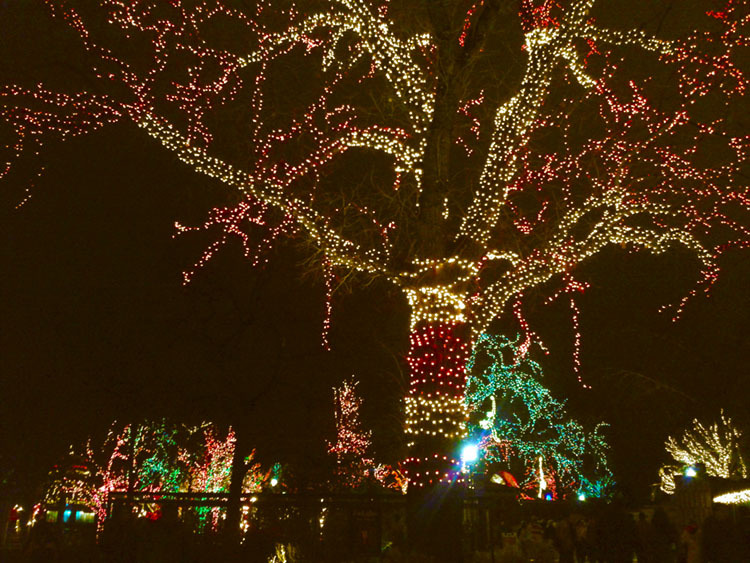 It was super pretty- you should go! 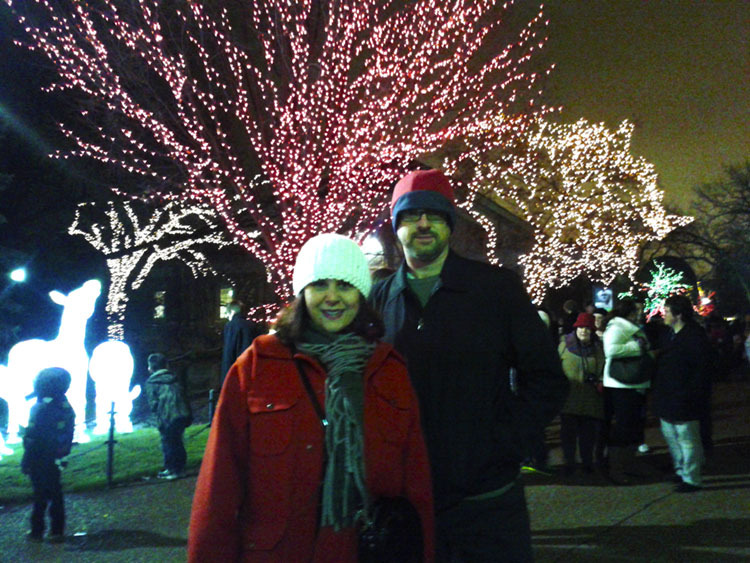 They’ll be on from 5-9pm through Sunday January 6th, so you didn’t miss them. It wasn’t as crowded as I thought it would be, just lively. So don’t worry about that. And, as always, it’s free to get in. 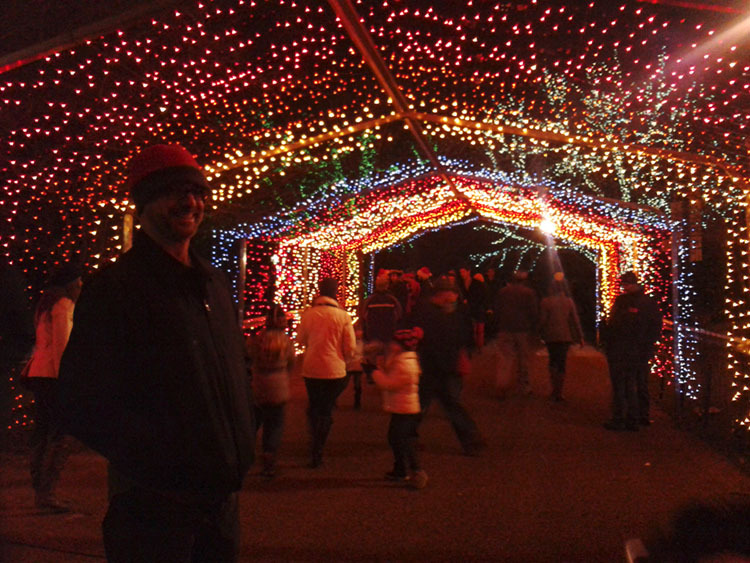 Not thousands of lights, millions of lights! 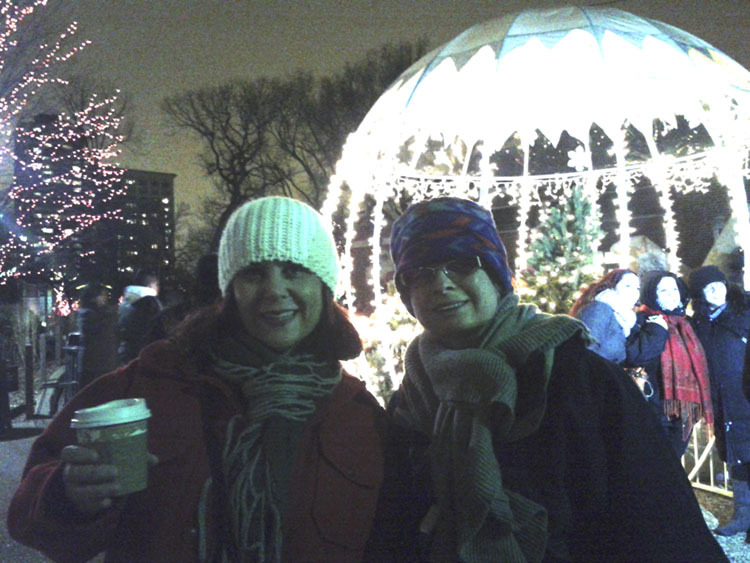 You can buy hot chocolate and mulled wine at the zoo. Yum! Even The Dange had fun! You can also check out the animals- the big cats are especially fun to watch prowl around in the darkness.